Fur coats and leather handbags step aside! 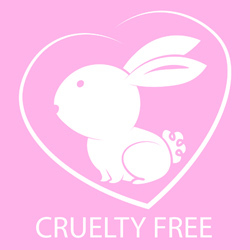 There's a new fashion trend and it's 100% cruelty-free. Gucci, Versace, and DKNY have all dropped fur from their collections over the past year, and more than 100 high street brands have scrapped the use of mohair. This change has been upheld and promoted by some high profile celebrities. Here are five intensely devoted, vegan and cruelty-free fashion advocates, helping to change the future of fashion. With 75.9 million followers, Miley Cyrus is one of the most followed celebrities on social media. Prior to clearing her page, Miley continuously backed veganism and animal-free fashion on her Instagram. She often included her own range of vegan shoes and clothing for the popular shoe giant, Converse. At this year's Met Gala she wore a dress designed by vegan fashion mogul Stella McCartney and captioned the posts, "not killing animals is f*cking hot!" and "It's so much cuter to NOT kill animals!" She told reporters at the event "I want to bring a message, which is veganism and that there doesn't have to be torture in fabulous fashion." House of Cards celebrity, Kate Mara believes that the exploitation of animals is unnecessary in the world of fashion. In March, Kate revealed she was on a mission to scrap leather from her wardrobe altogether. "I've never worn fur, and I'm very much against it, but I also know that leather is probably just as bad. It's in a lot more clothing, shoes, and bags than fur is," she said in an interview. Animal activist and vegan star Alicia Silverstone has been at the forefront of veganism for a number of years. Creator of the book The Kind Diet, as well as the popular blog, The Kind Life, Alicia Silverstone has headed up fashion since her early days in the movie Clueless. She most recently appeared in an ad for the animal rights organization PETA, asking the residents of Portland to scrap all wool from their wardrobes. "I'd rather go naked," read the poster she posed for in a #woolfreewinter campaign. "Why not make that leap?" asked Alicia. "Say, I'm never going to buy wool again!" Serena Williams can add "Fashionista" to her already impressive tennis star resume after having launched her own line of vegan fashion earlier this year! "Serena" is a casual wear and sports collection designed to help empower women. Ellen has been open about many things over the years, not the least of which is her choice to be vegan. That's why when this super star branched out and into the fashion world via ED Online Store, people came out of the woodwork to see what all the fuss was all about.